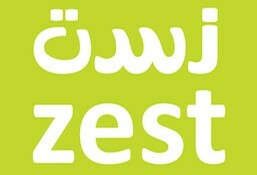 Zest is currently closed for delivery and it will open at . Enjoy this powerhouse organic salad freshly made using the finest organic seasonal greens and vegetables, sprinkled with two types of nutrient rich seeds, all sourced daily from our local organic farm. Enjoy the health and youth enhancing benefits of the Mediterranean diet with this mouthwatering salad of crispy cucumber, mixed peppers, onions, tomatoes and olives on a bed of lettuce and creamy mozzarella. Enjoy this salad with our homemade lemon and garlic dressing. [Nuts] Rich and nutty in flavor, hearty in texture, this never-fail Moroccan gem of a grain is both delicious and nutritious. Mixed with juicy raisins, fresh coriander, crisp cucumber, fresh mint, juicy pomegranate seeds, ripe cherry tomatoes and cashew nuts this salad is highly nourishing as well as heart warming. Enjoy this salad with our homemade yogurt and mint dressing. Supercharge your energy by tucking into this vegetable rich bright vibrant salad bursting at the seams with brown pasta, peppery rocket leaves, crispy cucumber, mixed peppers, sweet corn and cherry tomatoes for a meal of champions! Enjoy this salad with our homemade lemon and garlic dressing. Enjoy this scrumptious ball of fava beans, chickpeas and middle eastern spices on a bed of crispy greens and fresh vegetables. Packed with fiber and protein this is a favorite with our veg regulars. A deliciously earthy and memorable salad! Enjoy this salad with our homemade yogurt and mint dressing. Loved all around the world this rough country salad of ripe tomatoes, pasta, crisp cucumber, sliced onion, mixed peppers, olives and tangy feta cheese our Greek salad or horiatiki salata is a perfect light meal beautifully paired with one of our homemade dressing. Enjoy this salad with our homemade oil and balsamic dressing. Crispy romaine lettuce, croutons, Parmesan cheese and chicken beautifully married with our home-made salad dressing is a firm favorite with our regulars! There's really no need to reinvent this wonderful wheel! Enjoy this salad with our homemade caesar dressing. Be transported to a French brasserie with this delightful salad. Enjoy the hearty yet light combination of tuna, egg, potato, onion, tomato and olives on a bed of rocket leaves and green beans, drizzled with one of our prized homemade salad dressings. You simply can't go wrong with this classic dish. Enjoy this salad with our homemade oil and balsamic dressing. Get smart, supercharge your cells and get soaring energy levels with this highly nourishing and sensational salad. Mixed lettuce, pasta, crisp cucumber, sliced onion, sweet corn, juicy carrot, ripe cherry tomato and beautifully steamed salmon perfectly paired with one of our homemade salad dressings makes for a mighty marvelous meal! Enjoy this salad with our homemade lemon and garlic dressing. Family Favourite! Coleslaw is always a winner. Enjoy this creamy side salad of carrot, cabbage, onion, raisons mixed with mayonnaise and black pepper either as a light meal or as a great compliment to your meal. Enjoying a vegan diet doesn’t mean you should miss out on this cult classics! Our grated carrot, sliced cabbage, onion and raisins mixed with our home-made vegan mayonnaise is simply put, creamilicious! A Mexican favourite, this creamy mix of avocado, lemon, garlic, onion and tomato is the perfect side dish to almost any meal! We love! Thick hearty potato fries served with our home-made BBQ Ketchup, which btw we make from scratch….that’s right, that’s how we roll! [Vegan, Nuts] Freshly grated beetroot and apple mixed with tasty walnuts, sweet raisins and the most delicious lemon & garlic dressing, this superfood salad is bursting at the seams with flavour as well as health benefits! The perfect light meal or a delightful compliment to your meal. Fresh avocado mixed with onion, garlic, lemon and tomato topped with crumbled feta cheese, cherry tomatoes and organic bee pollen served on organic super seed brown bread makes for the most scrumptious gourmet sandwich. Fresh mozzarella, avocado and tomato drizzled with our oh so delicious home-made pesto sauce served on organic super seed brown bread is a delicious delight that will tickle your taste buds. Premium smoked salmon on a bed of cream cheese mixed with onion and tomato, with fresh avocado, lemon & dill served on organic super seed brown bread is simply sensational...if we may say so ourselves! Succulent grilled halloumi, crispy cucumber and fresh tomato drizzled with our home-made mint mayo sauce served on organic Italian ciabatta bread makes for a hearty & delicious meal. [Vegetarian, Nuts] Filled with flavour and flair the blend of creamy soft cheese, sweet carrots, grated cucumber and slightly bitter walnuts on premium brown bread makes for a top-notch meal. Simply delicious! [Vegetarian] This classic recipe of egg, mayo and spring onion is nothing short of eggcellent! Bursting at the seams with beneficial vitamins and minerals there is nothing normal about this power packed sandwich! [Vegetarian] Being vegetarian doesn't mean you should lose out on the classic club sandwich! Enjoy this mighty meal tower of cheese, tomato & fried egg on premium bread. Great toasted! Packed full of flavour this rich and creamy sandwich of succulent curry chicken, sweet chutney, mayo and rocket leaves does not disappoint. A fragrant filled, heart-warming meal! Relish in the knowledge that this scrumptiously creamy, smoked salmon & rocket leaf sandwich is not only melt in your mouth delicious but is also flooding your system with beneficial nutrients. Not bad for a grab and go sandwich! A staple favourite, this tuna & mayo sandwich is given a bit of a lift with freshly grated lemon zest mixed with fragrant rocket leaves. Sometimes a tuna sarnie is the only thing that will hit the spot! [Gluten Free] [Vegan] Enjoy the heart warming flavours of this rich Italian home made soup. Made using the freshest and finest ingredients this wholesome nutrient rich tomato soup deeply satisfies on many levels. [Gluten Free] [Vegan] Our rich creamy potato and cabbage soup is sure to hit a heartwarming spot. Super healing and overflowing with comfort this homemade cabbage pot is food for the soul. [Gluten Free, Spicy, Vegan] Immerse yourself in the vibrant flavours and spices of the middle east. Our hearty homemade moroccan lentil and chickpea soup will satisfy on many levels. [Gluten Free, Spicy, Vegan] Indulge yourself in the sweet smooth flavours of honey roasted carrots uniquely married stimulating chill flavours designed to excite and delight. [Vegetarian] A Hearty Meal! Boasting a tower of delicious Middle Eastern flavours this vegetarian wrap of hearty falafel, crispy lettuce, peppery rocket, onion, carrot and mixed peppers with a rich creamy dressing delivers a nourishing meal. [Gluten Free, Vegan, Raw] Best Wraps Ever! Bursting with freshness this delicious raw vegan wrap made using the finest organic seasonal greens and vegetables, sourced daily from our local organic farm, makes for a great light meal. Made with vegan rice paper and teamed with a delicious creamy nut sauce our Organic Vietnamese Wrap is a best seller! Relish in The Depth of the Ocean! Enjoy the delightful ensemble of smoked salmon beautifully married with rich smooth cream cheese, fresh chives and crispy greens. Be Wrappy! Relish in the fresh flavours of our tuna mayo wrap mixed with fresh lemon zest and a hearty serving of crispy greens for a satisfying meal. Warm Summer Nights…enjoy the rich flavours of curry chicken, sweet mango and fresh crispy greens for a satisfying, fragrant and heart-warming meal! [Gluten Free] [Vegan] [Nuts] This amazonian acai super bowl of bowls will knock your socks off. Enjoy organic acai berry, banana, pineapple and honey blended to a creamy smoothie bowl and topped with our unique homemade super seed granola for a nutrient rich delicious light meal. [Gluten Free] [Vegan] [Nuts] This amazonian dragon fruit smoothie bowl is not only vibrantly pink but delicious and bursting with nutritional benefits too. Enjoy organic dragon fruit, banana, pineapple and honey blended to a creamy smoothie bowl and topped with coconut chips for an immune boosting, detoxifying & delicious light meal. [Gluten Free] [Vegan] [Nuts] Enjoy fresh natural live yogurt layered with our homemade berry compote topped with our unique home-made super seed granola or choose our sweet berry live yoghurt topped with our unique homemade super seed granola for the most delicious light meal. Rolled oats, pistachio nuts, almonds, linseeds, yogurt, fresh orange juice, apple. The Powerhouse of Pots! Juicy, tangy and crispy all in one our little pots of fresh pomegranate seeds are a firm favourite in the restaurant. Enjoy this super food on Its own or sprinkled over your salad or yoghurt for an antioxidant rich addition to your meal. Little Gems of Goodness! Reach for these little pots of sweet pineapple or juicy watermelon when you need a refreshing and nutritious little pick me up. We think they rock! Feeling Fruity! Sometimes there is nothing quite like a fresh fruit salad. Light, nutritious and easy on your digestion, enjoy our seasonal fruit mix for a light meal or delicious dessert. Get One of Your 5 a day! An apple a day and all that ? Grab an Apple, Banana or Orange for a healthy snack today. Be super healthy and enjoy a different fruit every day! Enjoy this delightful light Italian bread snack baked from the goodness of Nature. Providing a great addition to your salad, a crunch to your soup, a satisfying afternoon snack or a classy pre dinner aperitif, Sunbites seem to hit that Mediterranean spot all so well. Enjoy both ‘Olive & Oregano’ and ‘Cheese & Herbs’. 100% pure fruit shapes, not from concentrates, no added sugar, preservatives or sulphites, suitable for very young kids. Need a little healthy sunshine to get your day started? Our bestselling juice since its launch in 2005 this freshly pressed blend is both delicious and nutrient rich. A delightful and uplifting jolly juice feast! Ingredients - Orange, apple, carrot, pineapple. Banish those seasonal bugs with this power packed zapper! This juice packs a powerful punch, especially when it comes to knocking the cold and flu season. Enjoy this delicious juice of crispy apples, sweet carrots and medicinal ginger spice! Ingredients - Apple, Carrot, Ginger. One of Those Days! The super nutrient walnut is blended with banana and yoghurt to give a deliciously unique smooth and nutty flavour. Jam-packed with health benefits It's no wonder that this clever little nut has been branded brain food! Ingredients - Walnuts, Banana, Live Yoghurt. Home-Made, Vegan and Oh So Yummylicious! The request for vegan treats keeps coming so we now bring you our home-made vegan donuts…which btw we are secretly a little proud of as it’s not easy to make a vegan donut that is as scrumptious and sensational as this one ;-) Glazed with delicious chocolate, chocolate & sprinkles, lemon or super food blue spirulina, these little delights are the perfect indulgence. [Vegan, Raw, Gluten Free] Boost your energy, nourish your body and indulge at the same time…is this really possible? Yes, with our home made raw chocolate truffles you can! Enjoy these dreamy delights and relish in the knowledge that they are doing you good. [Non GMO, Gluten Free, cooked with coconut oil, vegan] When it comes to snacking, popcorn is our favourite go-to! Rich in Fibre, gluten free and low in calories this is a no brainer really and did you know that popcorn has more iron than spinach or eggs….reason enough to enjoy this snack daily we think! Choose from our Organic Himalayan Salt (salty) or Organic Maple Syrup (sweet) Topping! [Gluten Free, Nuts] The Most Indulgent Chocolate & Nut Treat! This family recipe, which became the wedding cake for Zest's founder, is beyond dreamy. Bursting with rich deep Belgian chocolate and nutty almonds this home-baked gluten free cake is the most indulgent treat! Enjoy it with a cup of coffee. [Gluten Free, Nuts] Welcome to Almond & Coconut Heaven! Our home-baked Almond & Coconut cake is light yet rich and delivers magnificently when you're looking for something a little sweet. Bursting with nutty almonds and sweet coconut this gluten free cake works beautifully with a cup of coffee. Sweet, spicy and well, simply sensational! Our home-baked banana loaf is deliciously sweet (but not too sweet) with a tones of heart-warming spices. The cinnamon and ginger paired with the sweet banana makes this little treat one of our most popular cakes. Great with a shot of espresso! Enjoy our freshly made classic pancakes with your favorite toppings for an indulgent wholesome treat. Our homemade raw vegan gluten free chocolate sauce and our home-made berry compote are firm favorites. [Gluten Free] Enjoy our freshly made paleo pancakes made from coconut flour, cashew nut milk, coconut oil and egg paired with your favorite toppings for an indulgent treat. Our home-made raw vegan gluten free chocolate sauce and our home-made berry compote are firm favorites. From the Aloe Vera Plan This beverage is full of the healthy amino acids, minerals and vitamins your system craves. Made from pure Aloe Vera taken straight from the leaf at the peak of freshness, it combines the wholesome plant's pulp and juices with the delicious flavours to choose from. Aloe Vera is creating a beVerage that not only tastes good, but is good for you too. Each Aloe drink blend possesses multiple positive key ingredients to support a healthy and active lifestyle. Watermelon is high in vitamins A and C as well as beta carotene, vitamin B1 (Thiaminee), vitamin B6 (pyridoxine), potassium and magnesium. Drinking Aloe Vera helps your body's digestive system absorb essential nutrients more efficiently. Our home-made Carnivore Approved Vegan Burger is a little tower of satisfaction. Enjoy this Vurger (vegan & gluten free) layered with our home-made vegan mayo, a bed of lettuce & tomato, home-made guacamole, topped with caramelized onion and our home-made BBQ ketchup (which btw, we proudly make from scratch…that’s right, that’s how we roll!). Our Vegan BBQ Burger is served with steak cut fries.Ingredients Burger Patty: Kidney Beans, Onion, Carrot, Green Pepper, Garlic, Walnuts, Oats (GF), Flaxseeds, Paprika, Spices. Burger Bun: Hand-baked Organic Sour Dough Bun with Sesame Seeds (Sour Dough, Flour, Salt, Sugar, Yeast, Milk, Egg, Vegan Butter, Sesame Seeds) Steak Cut Fries: Potato, Sunflower Oil BBQ Ketchup: Tomatoes, Onion, Garlic, Balsamic Vinegar, Worcestershire Sauce, Brown Sugar, Olive Oil"
Enjoying a vegan diet doesn’t mean you should miss out on this cult classics!